Many parents are aware of the active lifestyle children have. Running, hopping, skipping, playing tag or dress-ups, takes a lot of energy from our kids. As parents and guardians, we need to feed our kids with healthy, energy-filled meals that can sustain their everyday activities. The same principle applies to childcare centres. 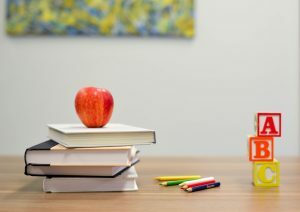 As kids go through their daily learning activities, especially with preschools with a play-based curriculum, they need healthy food to fuel their day. Good food and healthy activities are essential for proper early childhood development. That is why the Australian Government consulted top nutritionists about their recommendations for children’s nutrition. The result is the new Dietary Guidelines for Children and Adolescents in Australia. The government’s dietary guidelines assist childcare centres in preparing a menu for their breakfast and lunch as well as their morning and afternoon tea. These menu plans should provide children aged 1 to 6 years old about half of their daily nutrition requirements. The dietary guidelines provide emphasis on having a variety of nutritious foods. These include plenty of vegetables, legumes and fruits. The guidelines also recommends appropriates serves of cereals, including bread, rice and pasta, as well as lean meat, fish, and poultry. In addition, the guidelines have also recommend the exclusion of some food items that are high in saturated fat, sugar, and salt. These include chocolates, ice cream, deep fried foods, processed meats, and soft drinks. At The Berry Patch Preschool and Long Day Care Centre , we believe that healthy food goes hand-in-hand with early childhood education. Guided by the Dietary Guidelines for Children and Adolescents in Australia and Munch and Move Guidelines, we have created a childcare centre menu fit for your children’s formative years. Our long day care centre serves breakfast, morning tea, lunch, afternoon tea and late snack. The Berry Patch Menu draws from all food groups and includes meals from different cultures. Our breakfast menu is based on grains, including bread and rice, as well as milk and cheese. For morning and afternoon tea, we serve fruits, vegetables, legumes. Lean meat, fish and poultry along with vegetables and legumes are served during lunch. Water is freely available throughout the day. Along with our healthy menu, we also cater to children with special dietary requirements. You may inform us about your child’s needs in the space provided in our application form. In addition, we do not serve high allergen foods such as peanuts, eggs and kiwi in the centre. Children with special diets have personal placemats detailing their needs. Their food is also served on specially-coloured dinnerware. We strive to create a community of healthy and happy children. If you are from Blacktown, Pendle Hill, Greystanes, Kogarah, Botany and nearby suburbs, visit our childcare centres in the following locations. Our friendly childcare administrators will be happy to answer your concerns, including our childcare centre menu.